Octi Sushi | It's time to go to MARS and do so as FRIENDS! I made this for Denisey a couple of years ago for her birthday. 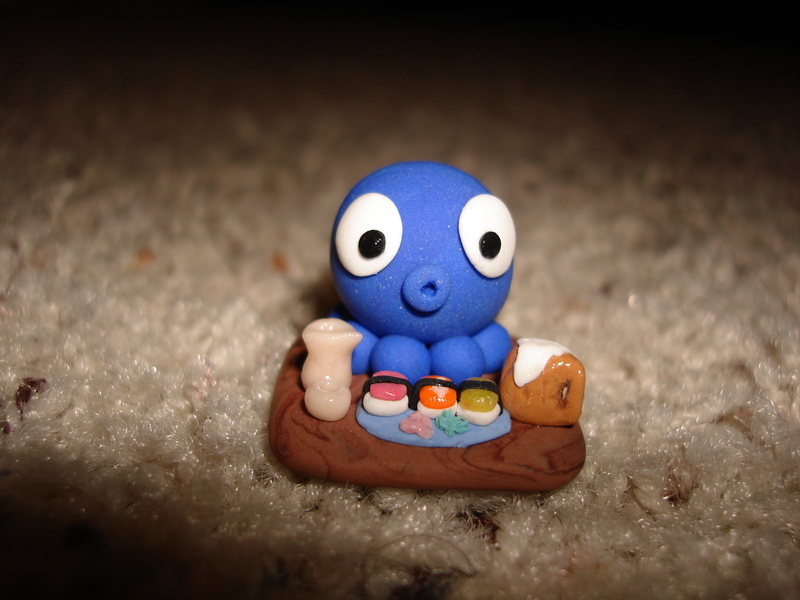 It”s probably one of my favorite polymer clay pieces. I usually don”t like making a piece more than once because I get bored after the first time, but I might have to make one for myself. It”s Octi! Enjoying some sushi, sake, and beer! This pic was to compare the size of some other pieces with a quarter. 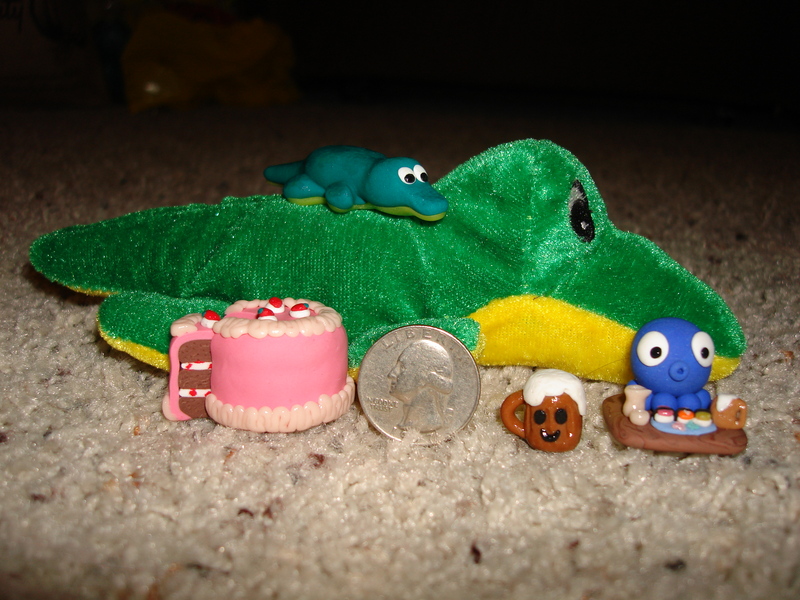 I didn”t make the little stuffed alligator. His name is Albie. Interesting story behind that one… maybe for another post. This entry was posted in Art Atrium and tagged Cute! by LuckyLee. Bookmark the permalink. I love my Octi and Mr. beer mug man! Pingback: Mario | It's time to go to MARS!